Product prices and availability are accurate as of 2019-01-17 17:26:34 UTC and are subject to change. Any price and availability information displayed on http://www.amazon.co.uk/ at the time of purchase will apply to the purchase of this product. Peter Cushing and Christopher Lee star in this British horror directed by Freddie Francis. 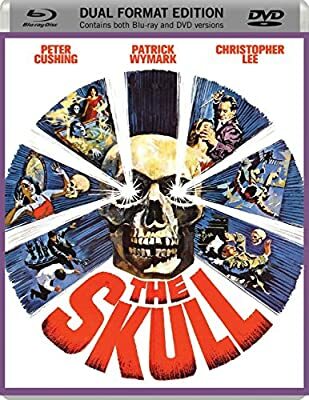 Collector Dr. Christopher Maitland (Cushing) is offered the skull of French aristocrat Marquis de Sade by Anthony Marco (Patrick Wymark) but refuses the offer after learning it has in fact been stolen from his friend Sir Matthew Phillips (Lee). But its previous owner also declines possession of the skull and warns Dr. Maitland of its terrible power. However, the intrigued doctor ignores his friend's warnings and is proceeded to be driven mad after yielding to the influence of the skull.